Just a day after posting my primer on mortgage down payments, LendingTree came out with some rather timely mortgage down payment data. The online mortgage lender revealed that the average mortgage down payment nationwide was 12.29% from November 2010 – November 2011. It was highest in the state of New Jersey, where the average home buyer came in with 13.71% of the purchase price. The District of Columbia (13.50%), New York (13.47%), Hawaii (13.33%), and California (13.22%) rounded out the top five. Interestingly, many of these states have higher average home prices than the rest of the nation, meaning down payment size doesn’t seem to be driven by home price. But it appears as if New Jersey homeowners are stretched a bit thin, as borrowers in the state fall into the higher end of the spectrum with regard to debt-to-income ratios. 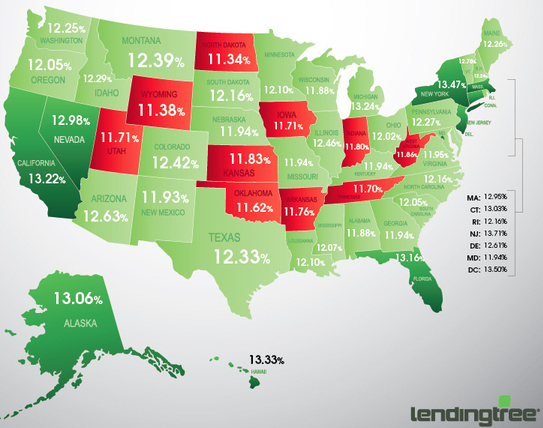 Meanwhile, the lowest mortgage down payment nationwide was in North Dakota, where the average was just 11.34%. It narrowly beat out Wyoming (11.38%), Oklahoma (11.62%), Tennessee (11.70%), and Iowa (11.71%). These states also happen to have average home prices on the lower end of the scale, which further demonstrates that home price isn’t a driver. And it really shouldn’t be. Your decision on the size of down payment doesn’t necessarily need to based on whether a home is cheap or expensive. First and foremost, it should be based on what you have in the bank and what your plan is regarding the home purchase. If you want to buy a $200,000 home, but you’ve only got $50,000 in savings, putting down 20% could be a bad decision, as it will deplete your precious reserves. Conversely, if you’re buying a $500,000 home and you’ve got $400,000 in liquid assets, putting down 20% may be a lot more reasonable. As I mentioned in my down payment post, you can save a lot of money if your mortgage is at or below 80% loan-to-value (20% or more down). 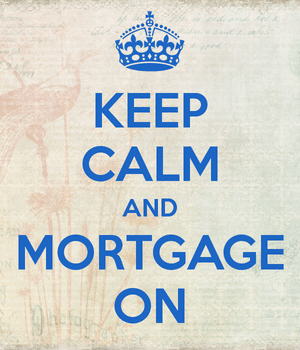 You’ll be able to obtain financing more easily, snag a lower mortgage rate, and avoid private mortgage insurance. As the numbers above demonstrate, putting down less than 10% will probably mean a higher interest rate on your mortgage because it falls below the average. This isn’t to say that everyone should put 20% down on a home. It just illustrates the potential savings if you do. One could also argue that putting less down on a mortgage allows for a better return on the money elsewhere, like in another investment. And even if you don’t bring a lot of money in initially, you can still build home equity via home price appreciation and by making on-time mortgage payments. So be sure to weigh all the down payment options for your unique financial situation, instead of basing it on what others are doing. There’s no sense in locking up a ton of money in an illiquid investment if it can be better served elsewhere, especially if the terms of the mortgage aren’t much different as a result. For example, you can get your hands on an FHA loan with just 3.5% down payment, and the rates are typically lower than those on conventional programs.